OK I guess I am nutty enough to be perfectly equipped to give the nutshell overview of Empire Avenue. The quick overview of EA is that it is a site that is based on evaluating & supporting your social media activity. The currency is eaves. You get eaves by doing missions (SM activity) for others. You get eaves when folks buy your stock. You can purchase eaves also, but most eaves are generated by investing…that is purchasing the stock of folks with strong social media networks. Although my shares are expensive (1436.72 per share), I generate about 2 eaves for every share that you own. A Newbies shares are cheap (less than l00 per share) largely because the social media activity only generates 0.10 or 0.20 eave per share. You can use eaves to purchase stocks that may generate more eaves for you. I got around 27 Million eaves yesterday. You can also use eaves to fund missions where you get folks to support your social media causes. Hope this helps you understand a bit. Read the help files, the Wiki site, watch the videos, or join some of the communities for additional help. So… Why Do Empire Avenue Missions anyway? My purpose for doing missions is to promote my blog. Everything I do is to promote my blog, and to increase SEO to get more people to my blog from search engines and from social media sites. So I create missions on Empire Avenue to do that. I would like to have comment on my blog posts but I do not expect it from my Empire Avenue Missions. What I am really looking for is to get shares on social media sites such as Facebook, Twitter, google+, etc. Interested in taking your Empire Avenue game to the next level? 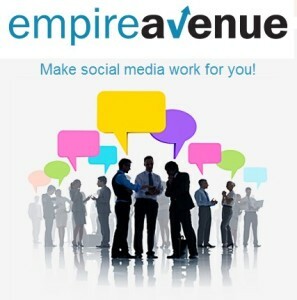 If so, joining Empire Avenue Leaders might be for you! run more missions with more visibility! All for $1500 in value! this upgrade will be disappearing on APRIL 10th, 2015. OK, so here you are, in the Fifth Hour on the Avenue. And it is time to talk about ‘missions’. What are they, what do you do with them, and why are they important? Yes, I wrote the interact point twice and on purpose. Remember, in the Third Hour, we talked about your EAV plan and how you get others to work with and for you. Well, missions are just the right vehicle for that. Hello Folks, and my apologies if you waited for this issue on Saturday or Sunday. But even I need some rest at times and the weekend is as a good a time as any. But it is Monday morning and we are back on track. What are we going to talk about today? Oh yes, the daily things you should do when you are active on Empire Avenue and expect others to be actively investing in you. Review and answer comments left on your profile page. This is as easy as clicking the ‘LIKE’ button underneath the comment or you can leave a reply on any or all comments. Either way, it shows you are engaged and active. Mar 23 My daily investment tips today for Empire Avenue #EAv ! For people who are completly new on the Avenue, watch this short intro video regarding Missions by Dr Michael Haley . After the video I will explain how you get most of it and not only earning Eaves!! All leaders will earn double dividends on other leaders AND pay double dividends — meaning they’ll collect x8 for every leader they own now through March 31. Not a leader? You’ll collect double dividends on any leaders you own. PLUS, if you join leaders now, you’ll get all the pie up to 37, earn these bonus dividends, and get all the other extras in the Leader’s Ultimate Upgrade. HURRY – no new Leaders will be accepted after April 10th.